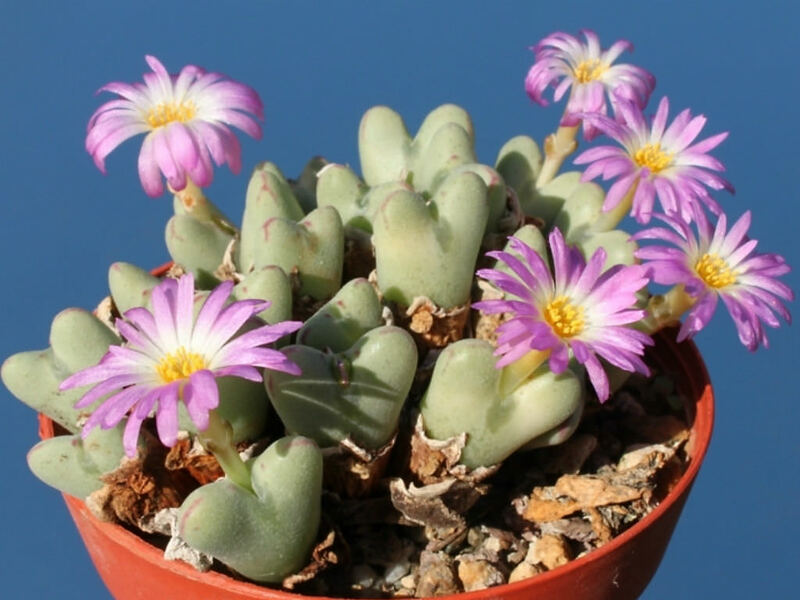 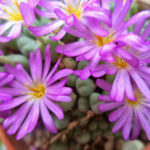 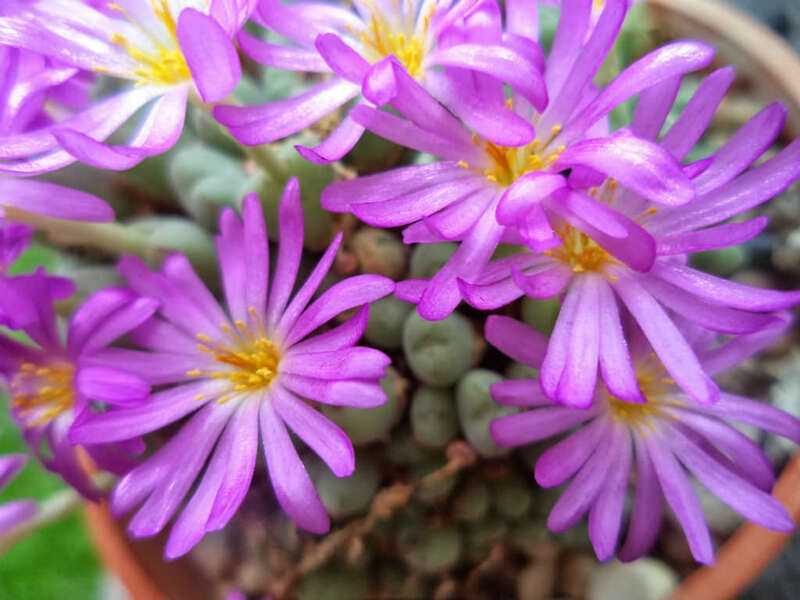 Conophytum chauviniae is a dwarf, rock-like, perennial, leaf succulent, often very small, forming fairly large mats or domes of small grayish-green bodies with nice pink or purple blooms. 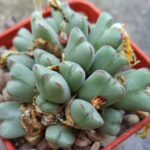 The paired leaves are up to 1.4 inches (3.5 cm) long, pale green to bluish with red or purple lines, often transparent near fissure. 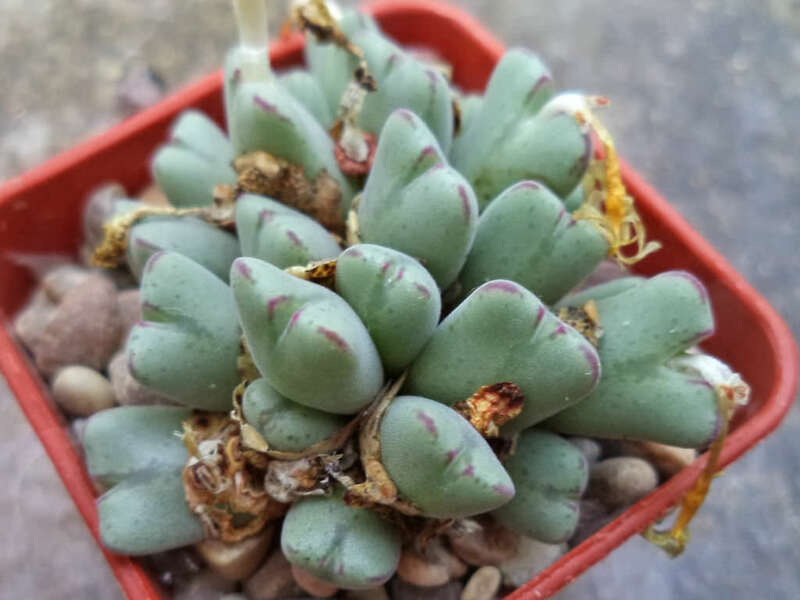 The leaf-tips (lobes) are free and triangular in shape and keeled sometime with broad, arrowhead-shaped, deep red markings. 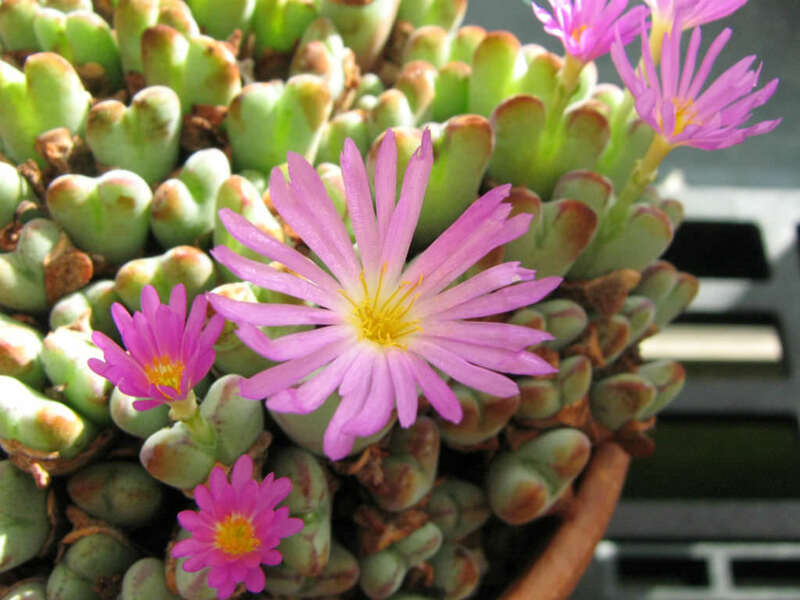 The flowers are solitary with a prominent perianth tube, petals magenta. 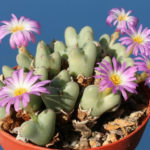 Native to South Africa (Namaqualand, Western Cape).